Hello Sweethearts♥ is me again and today I'm going to blog about some of my winter outfits ideas. 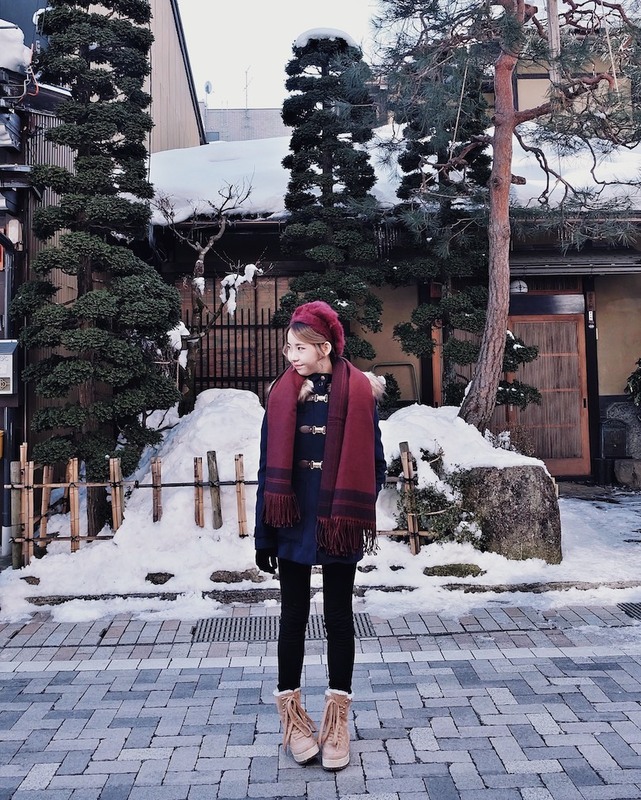 Basically here's what I wore during my Gifu Trip in Japan few days ago and I still can't believe I'm back in KL now. lol So, for those who plan to visit to Japan this coming week I guess this is still useful for you and for those who plan for you sakura trip in coming March & April, this can be useful as well except you can wear less inner heat tech or without gloves / winter scarfs. #2 Remember to bring gloves because this is the most important thing to wear during the winter so you can keep yourself warm and play with your phone (remember buy those glove can touch screen one) Without glove, your hand will be really pain and sometime if it can be so pain until you can't press your phone and camera. #3 Thick & fluffy scarf + jacket. No joke this is an extra coverage for your body. Better to get a jacket that will keep you warm. Or if you dont want to buy new jacket then you can layer your outfit to keep you warm. #4 Purchase some hot pads I got mine from Japan convenient store and just placed it on your pocket so when your hand is really cold you can just put your hand into your jacket's pocket. #5 No heel pls! Wear something that cover your leg & able to walk on the snow! Boots with socks so you can easily walking on the snow or light weight sport shoe. Remember to bring extra socks because during winter time when you walk around the road or if it's snowing, your sock will become wet and smelly. 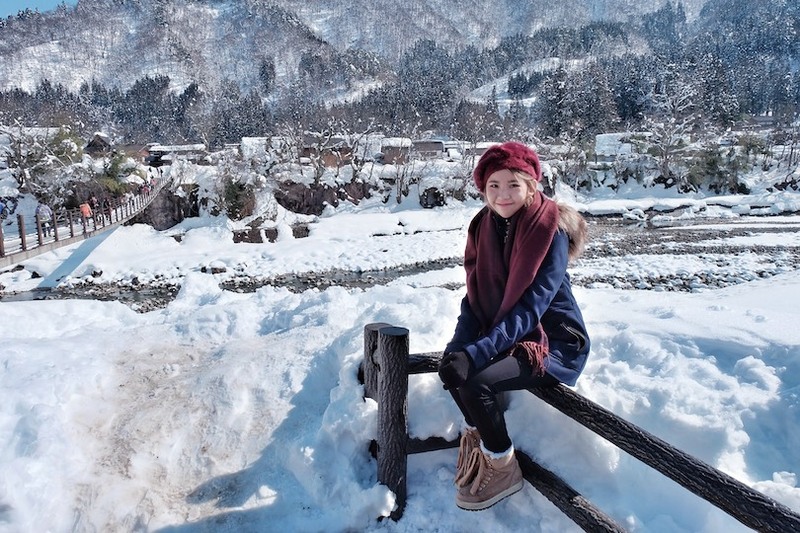 #6 Wear a hoodie jacket / hat so when it's heavy snow or wind, you can use it to cover your head + your hair won't get wet easily. So normally to keep myself warm, I'm wearing 2-3 layers of heat tech top & 2 layers bottom (heat tech leggings and normal pants) with high boots together with hoodie jacket + glove + scarf. To be honest, Winter here in Japan is not really scary unless the temperature is negative and strong / heavy wind! 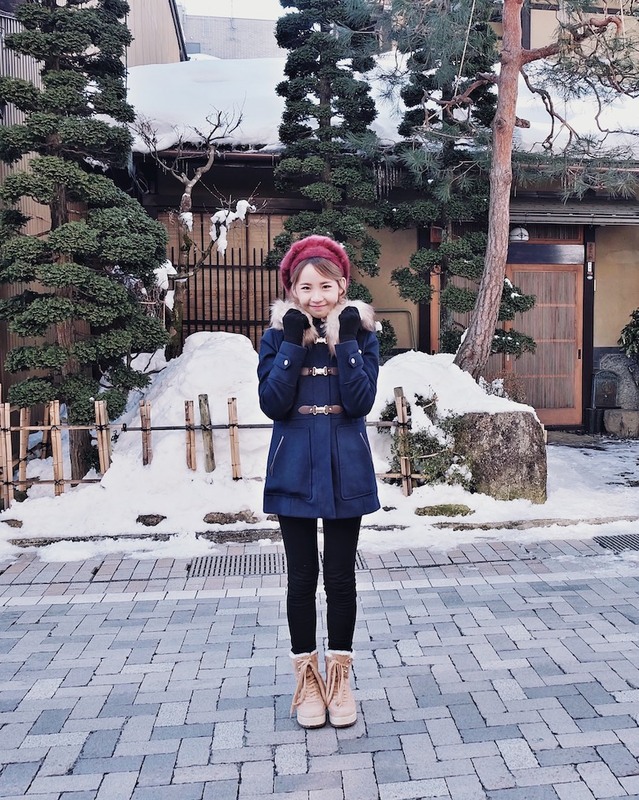 Hope this is useful for you and let me show you some of my Winter OOTD that I wore during my previous trip. Since I'm in Japan, my first look must be inspired by the Japanese style and match the old village town in Hida, Gifu Prefecture. So I decided to add on some accessories like beret and scarf. The whole look match this place so much and I love how it turns out to be so lovely and cozy. It's so warm although it's just a denim outer but my 2 layer heat tech top were enough for my body. Photo taken at Hide, Gifu. This is also one of the top-rating outfit because most of you commented this on my instagram's photo. So I guess you guys can combine both of the dark wine red / maroon color with a navy blue outfit. These two color look really pretty and eye catching when it's together. 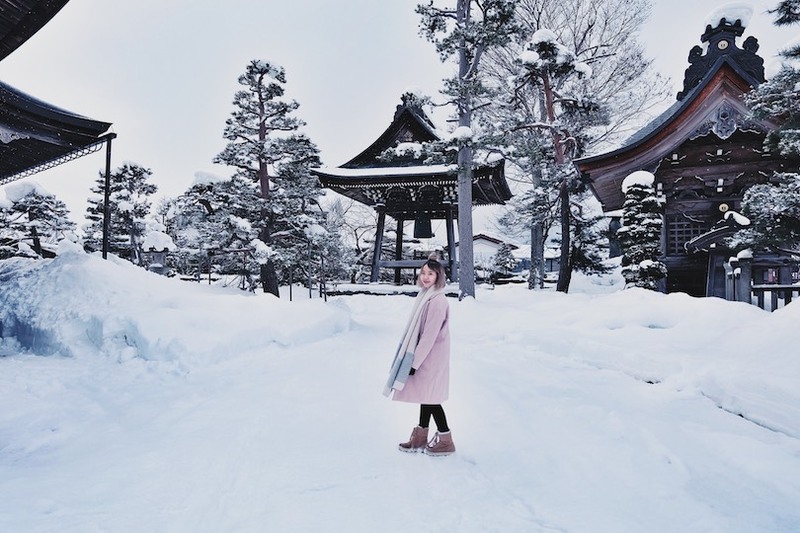 Especially when you are going to take lots photo with the white & pure snow. Really stand out from others. Am I right? It's so hard to get a maroon color scarf!! But look...I found it @Uniqlo Malaysia and it's just RM79! Almost cry when I found it because I was searching it for quite some time but still can't get something that is thick and cozy enough to keep me warm in winter and this the uniqlo one is 2 way scarf. You can use it as a scarf or a body blanket to cover the top part of your body too. Pastel is one of my favourite color so this time i decided to brought the pink long jacket that I bought from Korea last year. I named this outfit as Neutral pink lover because the pink is really soft , pinkish and lovely to pair it with the zara scarf that I bought in Malaysia. Since my hair is really thin and flat during the next morning because of the snow. I decided to tie half of it up into a mini bun. Another Japanese girl wannabe hairstyle tips! At first I thought this zara scarf is just so so but end up it really match it well with most of my outfit and thicker than the Uniqlo one. If you not sure what color to get for your scarf to match with your outfit...most probably it's safe to go for white , grey or light color. This is another navy blue jacket that I bought in Japan. Look alike like a school uniform jacket hahaha! So I called it as back to school look lol. Since I spent the last few days in Tokyo area (not too cold) I decided to keep my scarf back to my luggage and wear only one layer of heat tech + top and jacket only. I love longer jacket because it makes the whole outfit look more chio. If short jacket like this I normally just wear a leggings or jeans to match it. Lazy to put on makeup during the last day of your trip? Then go with something easy and bigger size. I bought this jacket from taiwan ShiDa night market. It's damn cheap!! Just RM60 only omg!! Since it's the last day or my trip I didn't have much time to put on make up and remove it before my flight. So, I just wear something that has bigger size like this boy friend white denim. Still so cold in the morning so I just randomly put on the scarf and after that I just put it back into my luggage before my flight. 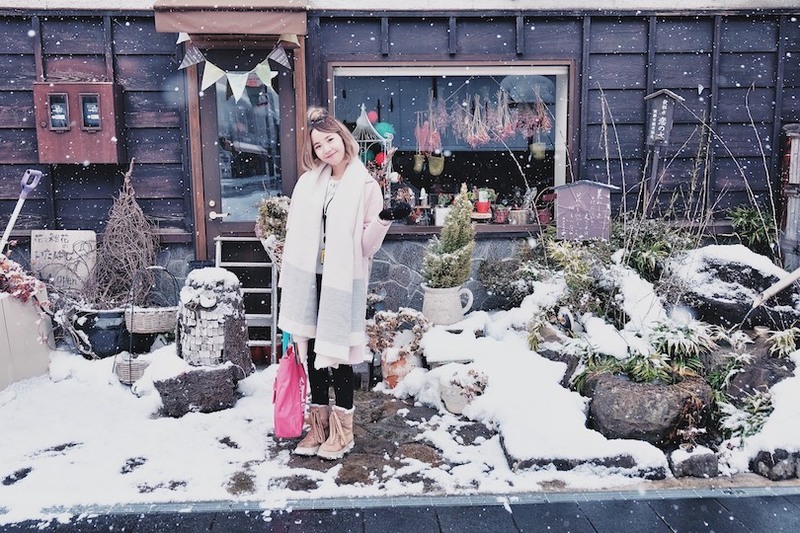 So here's some of the #OOTDchanwon photos that I took during my Gifu , Japan trip. Thanks for your time! Enjoy reading~ That's all for today. Love, xoxo. So cute! Your pictures make me miss dressing for cold weather. 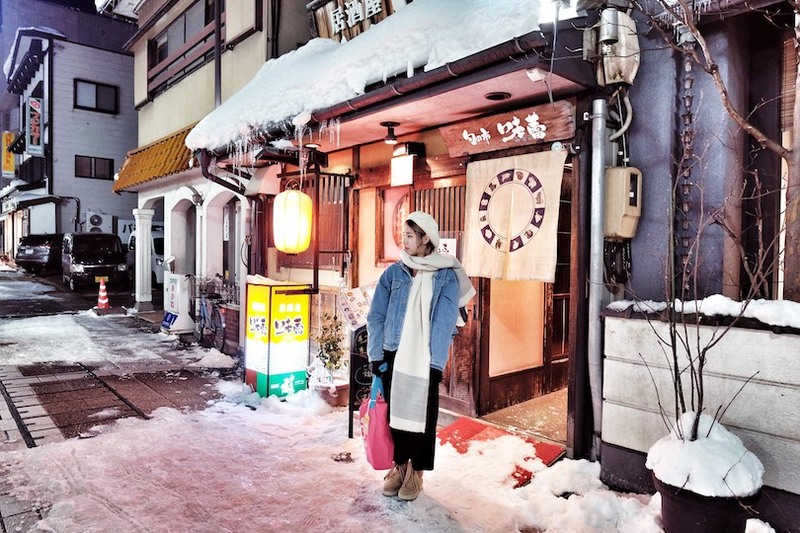 In Okinawa, it never really gets super cold. hi, chanwon. can i know where u get ur boots? As mentioned and written on the post it's from charles and keith. I wrote on the first outfit photo below. Have a nice day. Hi Chanwon! 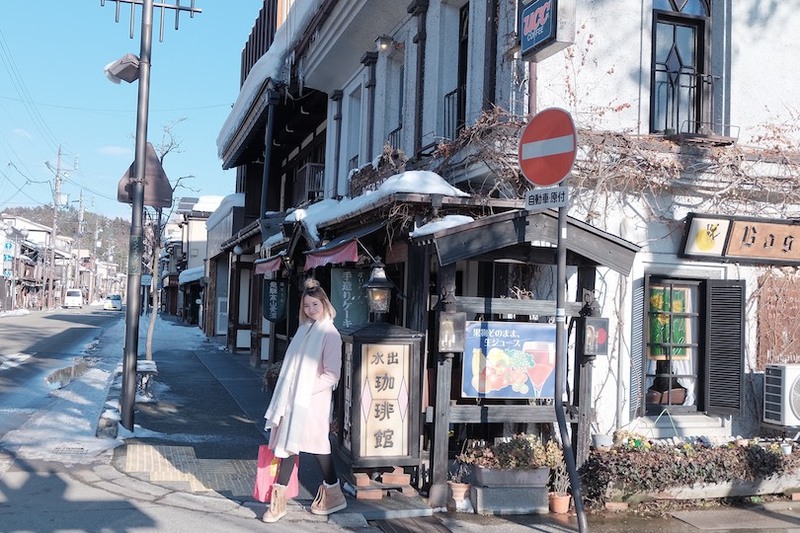 I really like your choice of outfit :)) I'm going to go to Japan this February and i'm wondering is boots really necessary, especially in Shirakawa-Go? Your help will be appreciated. Thank you. It's snowing and winter in that area. I guess it's best if you could wear some boost so you can have a smooth walk around or wear something water proof too.